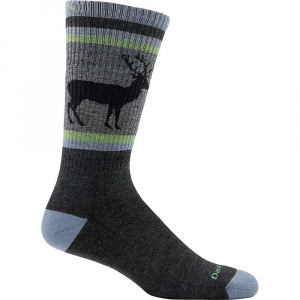 If you don't bury me barefoot, use these socks. My feet sweat. No matter the weather or what I'm doing I seem to have a perpetual damp feeling to my feet. 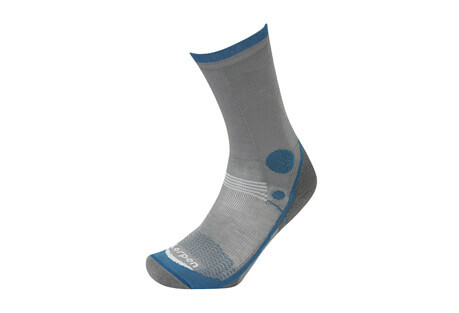 I've tried many socks, boots, trail runners but at the end of the day my socks are wet and feel slimy. Not with this sock. I can wear these for several days on the trail and while they still get damp they are perfectly fine the next morning. 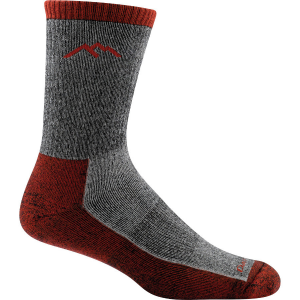 While my feet always smell as fresh as spring sunshine Darn Tough socks resist getting that gym locker funk. I think my foot is typical, about median size EU 43. 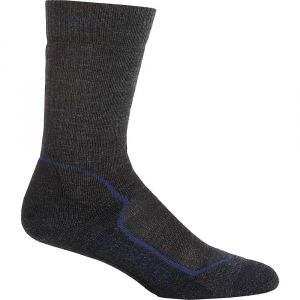 Some socks that are the right length are too big in the foot and can roll and create sore spots. 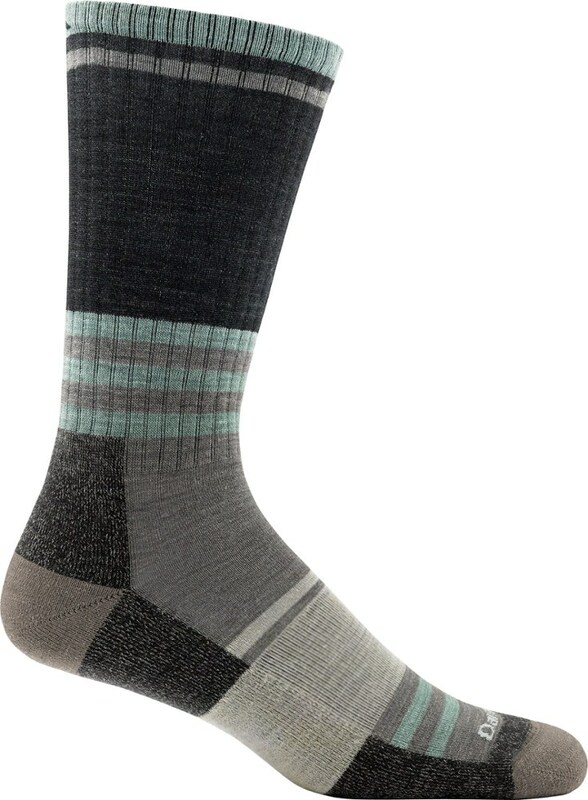 Some socks are too tight and feel like a constricting band around the arch. 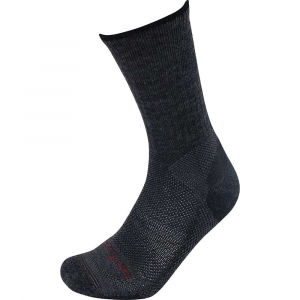 This style of Darn Tough socks is in the Goldilocks zone, they neither squeeze nor ball when walking. I have pairs of softer wool socks that don't wear as well. They tend to wear in the heel or under the ball of the foot. I've been using these socks for a little over a year and they look as fresh as the day I bought them. Cost, $24 for one pair of socks. Try explaining that to your non-hiking partner. Why yes, we could buy a cart load of generic socks at the mega-mart for the price of one pair, but they're wool and really comfortable. Does anyone else find it odd that a grown man would gush over a pair of socks? Nope, I do not find it odd for someone to gush about good socks, Tÿcho! I bought a pair of these a couple years ago and have only worn them a couple times. I simply haven’t needed them when & where I hiked. Now that I e moved to the mountains of NW Maine they’re much more useful.